Our Traversing Wall is now in place - thank you so much to Tesco Southport for supporting this project with their Bags of Help scheme, and thank you to all the Tesco customers who voted for us! 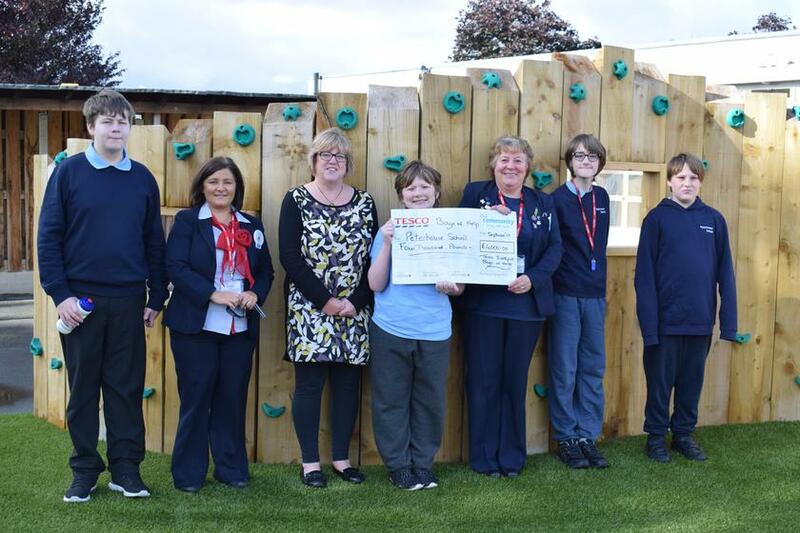 Staff from Tesco called into school on 11th September 2017 for the official cheque presentation. The wall is proving a great hit with our young people!